How was the weather in october 2018? You want to visit Dangriga in Belize in october : check the weather and seasonal norms here. The weather in Dangriga in october comes from statistical datas on the past years. You can view the weather statistics for the whole month, but also navigating through the tabs for the beginning, the middle and the end of the month. 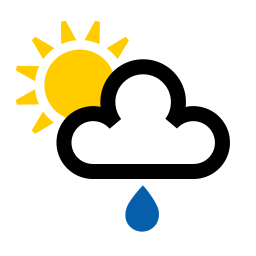 the weather in Dangriga in october is wet (with 267mm of precipitation over 22 days). It should be noted an improvement from the previous month since in september it receives an average of 288mm of rainfall over 22 days. The climate quite pleasant here this month. The thermometer averaged maximum of 32°C. 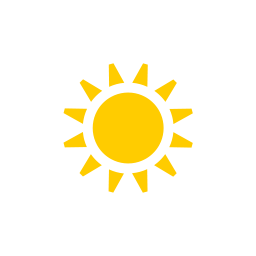 The seasonal minimum is 24°C. Thus, the mean temperature average on this month of october in Dangriga is 28°C. Note that these seasonal averages are in contrast with those observed in Dangriga in the month of october with a maximum record of 36°C in 2016 and a minimum record of 18°C in 2010. You can expect to have about 21 days with temperatures up to 30°C, or 68 of the month. Day length in Dangriga in october is 11:45. The sun rises at 05:46 and sets at 17:31. With proper weather, october is okay (but not good) to go in Dangriga. October: another location in Belize? In october, Corozal and Orange Walk have good weather. Check below seasonal norms These statistics are compiled from the weather statements earlier years of october. How was the weather last october? Click over cities on the map for information about the weather in october. Weather data for Dangriga for october are derived from an average of the weather forecast since 2009 in Dangriga. There is a margin of error and these forecasts are to be considered as general information only. The weather in Dangriga can vary slightly from year to year, but this data should limit surprises. So you can pack your bags or check for the best time in year to go to Dangriga.